In partnership with Lilly Broadcasting, the ERCGP sponsors Giving You the Businesssegments which air weekly on WSEE35 and WICU12 during the 5:30PM. Monday broadcast and Tuesday mornings in the 6-7AM. hour. Each segment takes viewers behind the scenes of local businesses they may not have a chance to see. Giving You the Business segments highlight members of the ERCGP, and is a free membership benefit! Contact our office if you would like viewers to see behind the scenes at your business! Email Nadeen Schmitz, or phone 814-454-7191 x139 to schedule your segment. 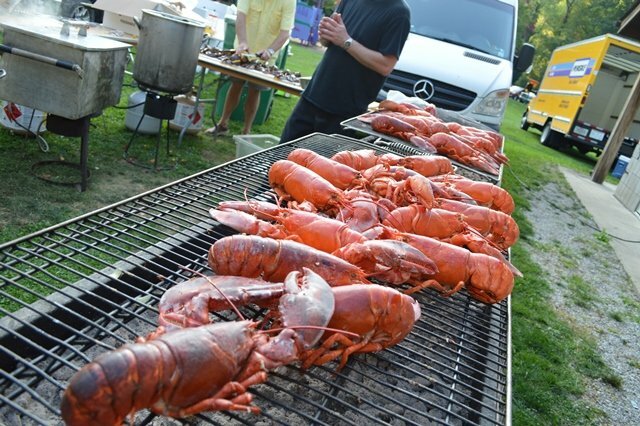 Did you attend last weekend's Beer on the Bay event? 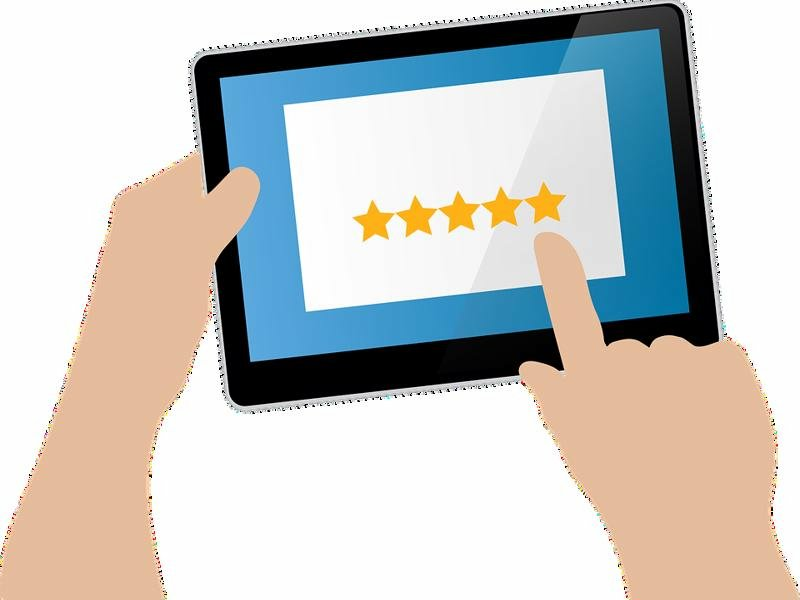 If you could give us your input by taking this survey we would be extremely grateful! The Jefferson Educational Society and Erie County Historical Society are pleased to announce an open call for papers for upcoming issues of the Journal of Erie Studies. JoES is a peer-reviewed, scholarly publication that features essays relevant to the interdisciplinary history of the Lake Erie region and focuses on fostering interest and understanding in the heritage and culture of northwestern Pennsylvania, and those sections of Ohio, New York, and Ontario bordering Lake Erie. Founded in 1972 as a university publication, the journal has a long history of publishing unique perspectives on a variety of topics and subject matter to contribute to the broader research in the field while initiating thoughtful discussion of related topics. Other interdisciplinary and scholarly topics relevant to the Lake Erie region will also be considered. 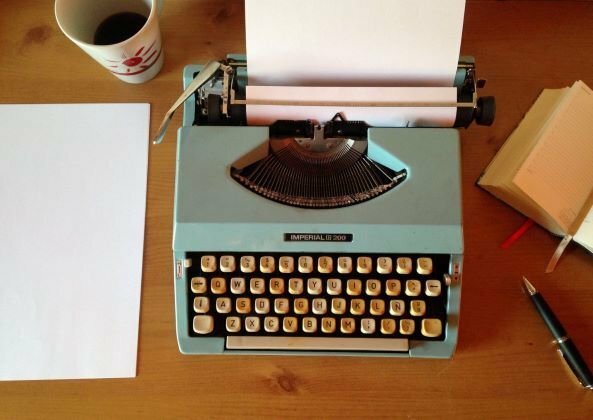 Submissions should be clear, well-researched, professional, and scholarly essays, but written for a broadly educated audience and avoid disciplinary-specific jargon. To submit, please email essay submissions of no more than 15 – 20 pages in length, including citations following The Chicago Manual of Style, 17th edition, author/date form in .doc, docx, or PDF format to farrell@jeserie.org with name and contact information redacted from the essay. Explanatory footnotes should only be used sparingly, and articles must contain a Reference list. Include author name and contact information (email, mailing address, and telephone number) in a separate document. Questions regarding the journal or submissions should be directed to the Editor, Dr. Marcia K. Farrell, farrell@jeserie.org. What does it mean when you say something is local? Who decides whether it is or isn’t? I’ve pondered these two questions for many months - turning them over in my head many times. Consult the dictionary and you’ll find several definitions - some referring to geography, others a sense of belonging or custom. In news articles, advertising and conversations the qualifier “local” has gotten a lot of use lately. I now read business articles talking about “hyper-local” trends. I see social media posts and hashtags that highlight the term. I recently counted radio advertisements over a two hour drive: over half of the ads used the word local in some way. Today the word is no longer just an adjective or a noun. It’s taken on a new significance. Often I think local is used as a substitute for the terms community focused or owner-operated. Local can be a useful distinguishing characteristic especially if you are looking for something in close proximity. However, it can also hold a power to diminish by denouncing something as less than or un-authentic. At a time when Erie appears to be prioritizing coming together as one community the possibility of being sub divided into further segments gives me pause. I’ve come to the conclusion that I spent so much time trying to decipher the definition of local because it is personal for me in several ways. 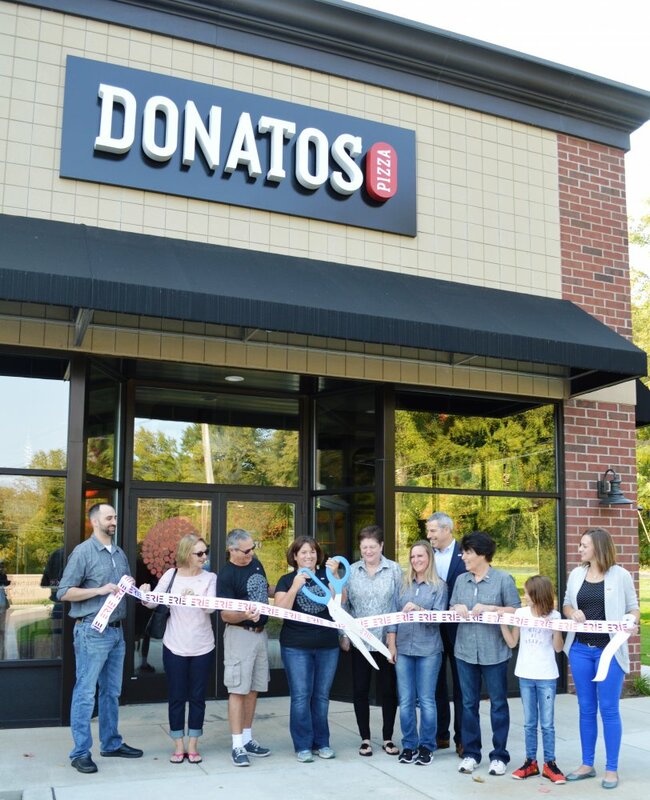 In October of 2016 I opened my Donatos Pizza franchise in the new Greengarden Place plaza. Yes, it is a franchise. I did not create any of the recipes or systems but I have tried to make it a part of our community. There is a Donatos Pizza exhibit at the expERIEnce Children’s Museum that I paid for. I have developed an ongoing relationship with the Museum and other organizations like the Barber National Institute, Autism Society and Girl Scouts. Donatos is headquartered in Columbus, OH, where it was founded in 1963. It is a family owned company with 55 corporate restaurants and 105 franchises, of which my store is one. I currently have 17 employees. Many of them are part time students in high school or college but I have three full time managers. Two of the managers bought new cars last year and one, who was renting, also purchased a home - events that would not have happened without their employment at Donatos. I read all the time about the need to create family sustaining jobs. I’ve created three. It may not be many but it is a start. But my concern about the local connotation is not simply related to my restaurant. I am not from Erie, which means I am NOT local, at least according to some. My family moved here in the summer of 2013 because my husband accepted a position with Erie Insurance, where he is still employed today. We have three children in the Fairview School District. Our oldest child started at Fairview in First grade. For the younger two, it’s the only school they’ve ever known. Even if I’m never considered local my children will be. We, like so many others from other states or other countries, have chosen to make Erie our home. We want it to thrive even though we haven’t been here for decades. Let’s not allow a word like local to create further divisions. We all have a vested interest in our future here and a role in making Erie a gem city. Many recognize Erie, Pennsylvania as the home of Erie Insurance but I am sure many did not know there are actually two insurance companies headquartered in Erie. Both companies have an extensive history in our community, however, one of these companies is 35 years older than the other and is a not-for-profit organization. If you didn’t guess Loyal Christian Benefit Association (LCBA) as being that company, here’s a little history on our company. Over 128 years ago, seven Catholic women in the Titusville, Pennsylvania area recognized the need for women to have life insurance, (as women were not considered worth insuring back then) so they banded together and founded the Ladies Catholic Benevolent Association. This was the first insurance society (and second formally incorporated) that was created, owned and operated 100% by women!! LCBA is unique in that we are a 501(c) 8, or a Fraternal Benefit Society, which means we’re a members’ based organization formed under the common bond of Christianity. This makes us different because we provide the financial protection our members need, with the added benefit of helping those in need. We put our earnings back into communities and causes, not pockets. Members purchase life or other insurance products, and in doing so, help support scholarships, charitable events and more. A percentage of our revenues are returned to our members in the form of benefits/discounts such as hearing aid benefits, prescription discount cards, and our most popular school scholarships. Our members also give back by forming branches or volunteer groups in their communities to conduct fundraisers, events and raise awareness for organizations they support. Throughout the years we have continued to offer life insurance and created an in-house Agency that brokers with other companies to offer anything from term life, fixed annuities, Medicare Supplement and even travel insurance. But our main line of business is preplanning/prefunding for final expenses. Did you know that you can go into a local funeral home and not only plan but also prepay for your funeral services? Legally, the funeral home cannot keep those funds on hand and they must use a third-party company to hold the funds until a claim is made. Enter LCBA. We are one of the leaders in a niche market that is very much needed but rarely discussed. 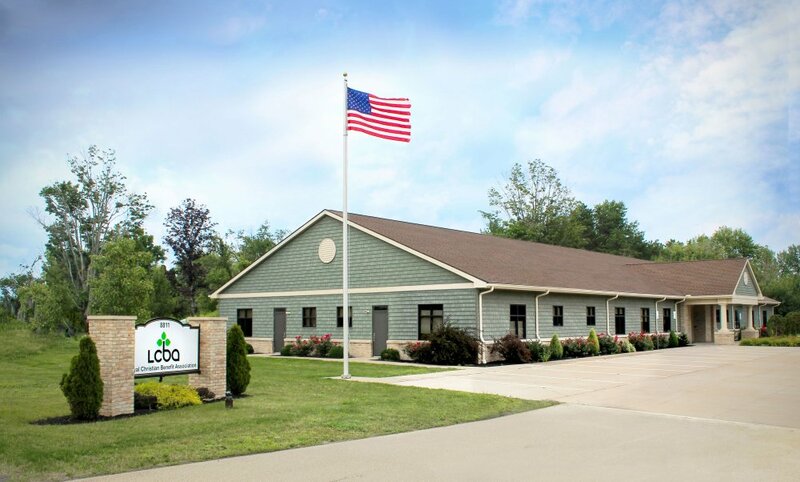 If you’ve ever been in a funeral home in Erie, there is a good chance they use LCBA products for their preplanning needs. Keep in mind we handle everything from issuing life insurance certificates to paying death claims at our home office just south of I-90 on Peach Street. We’re not the biggest insurance company around but we’re proud of what we do in our local community (as well as the other 35 states we’re licensed in) and I think our founding mothers would be proud of how we handle business these days. If you think about it, we’re still keeping sacred what they sought to offer over 128 years ago in providing benefits for the passing of loved ones. Want to learn more about the Erie area? We've got just the program for you! Our ERIE Ambassador program will begin its Fall Session on Tuesday, September 25th. 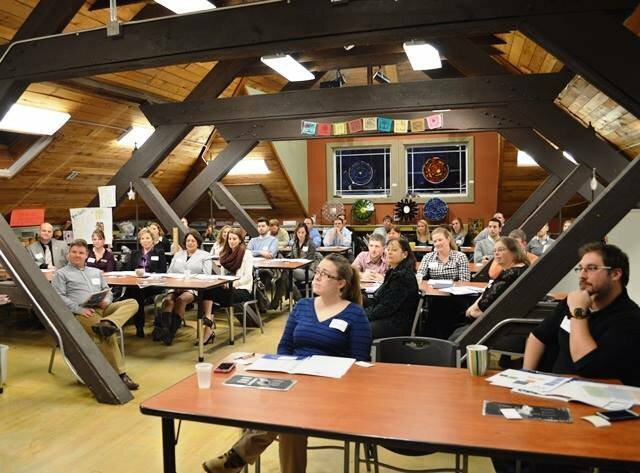 The ERIE Ambassador program is designed to train community professionals and citizens interested in the history and promotion of our region. The nine week course examines numerous aspects of the community, providing in-depth information from some of Erie’s top civic leaders. "Just to see that hidden treasure, I was blown away!" Bryan Walker on the session he attended at Bloom Collaborative. Check out some other testimonials on the program in an issue of our ERIE Magazine. The Fall Session classes are held from 10AM to 12PM. For all the details and to register, visit the ERIE Ambassador webpage. You don't want to miss this member favorite event! Make plans to join us at Shades Beach in Harborcreek for a delicious lobster dinner, live entertainment, top shelf open bar, raffle prizes, and a fantastic networking opportunity! Tickets are on sale now, and we do sell out so don't delay! One of our popular member benefits is the ERIE Perk Pass. It is a benefit for our members to offer discounts bringing feet off the street and into their doors. It is also a benefit for our members employees who have access to the Perk Passes and can use them at any participating member business! Members and their employees can show their Perk Pass at participating Perk Pass locations that include retail, restaurants, and services to get discounts on things you use every day. ERCGP members can post their Perk by logging in to the member portal at eriepa.com. You can view the discounts being offered HERE. Who wants to go shopping?? 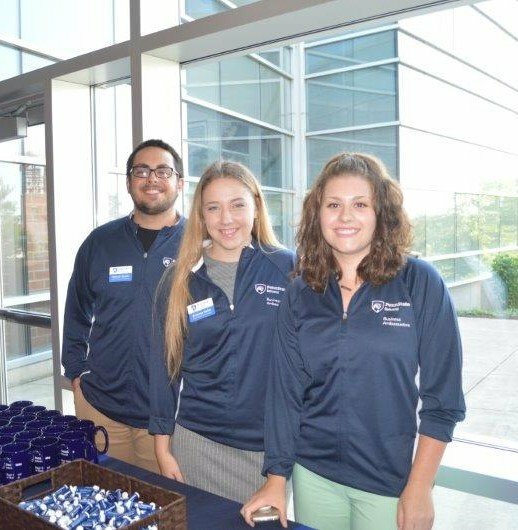 Our monthly evening networking event took us to the Black School of Business in the Burke Center at Penn State Behrend. The Black School of Business at Penn State Behrend is accredited by AACSB International and listed among the “Best Business Schools” by The Princeton Review and U.S. News & World Report. A great crowd attended and received tours of Burke, met our new event coordinator Colleen Szymczak-Gross, and heard the announcement of the new ERCGP President and CEO James Grunke who will join the organization in September. Thank you for being such terrific hosts! Our August morning networking event was held in the Independence Hill neighborhood at Emily George's Pointe Foure Vintage Boutique. Retail therapy was included! 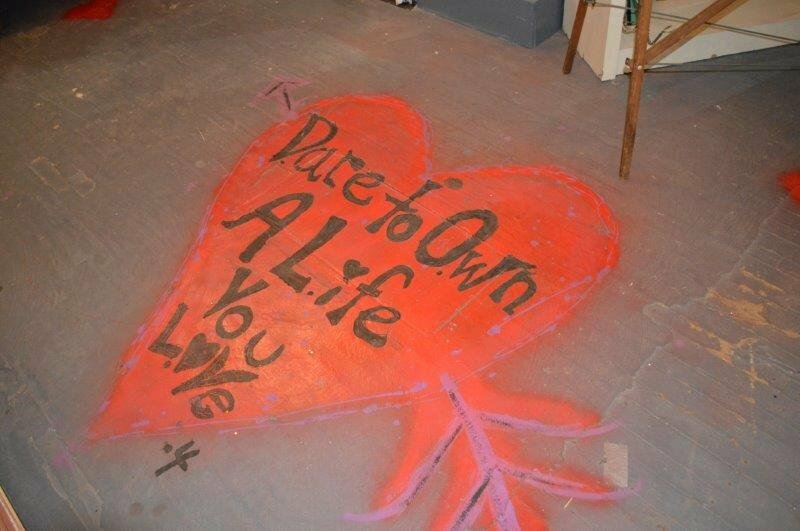 Pointe Foure is a vintage clothing, accessories and home goods boutique. Emily told us the pieces you find in the shop are locally sourced vintage pieces that have withheld time, most items belonging to their original owners between the 1920's to 1990's. Totally charming! Andrea Labowski, Andrea's Interior Design Gallery, says her job is to help people love where they live. GDS - Dumpster Services and DRS of Erie partner to take the stress off your shoulders in home restoration working directly with adjusters and insurance agents to assure a smooth restoration transition. Dan Wingerter of Paragon Packaging Products noted his grandfather used to own Krug's Shoe's which was across the street from Pointe Foure and will soon open as a new coffee shop. He also told us a bit about Paragon and that it is the oldest running box manufacturer in NWPA, was founded in 1970, and that the company offers everything packaging as well as customized creations in all sizes. Join us for our September Connect 4 Coffee at EmergyCare. On a Friday evening in October, an empty room on the second floor of Lovell Place on East 13th Street will be transformed into a cocktail-chic space filled with friends, family, supporters, and the 2018 Class of 40 Under 40. The Young Erie Professionals and Erie Reader are hosting the 40 Under 40 Experience which is being designed to showcase some of the top young professionals, entrepreneurs, activists and leaders in the community. Previous 40 Under 40 recipients will also be in attendance as guests and participants. Food and beverage stations will be set up to fill your belly and wet your whistle. Musicians, artists, and on-site tattooing will be featured as well, and you may even see one of Erie's famous sports mascots hamming it up for the crowd. The entire community is invited to attend the celebration. Click below for complete details and ticket options. The presenting sponsor of the event is The Erie Community Foundation. Be a kid again and see why #erieplaymatters during the September 27th Business After Hours event being hosted by our friends at the expERIEnce Children's Museum. Check out what they are planning for your visit! It's a networking event, don't forget your business cards! 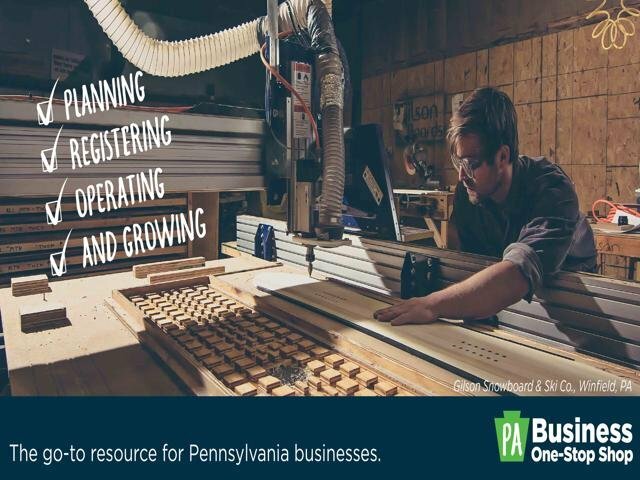 The Pennsylvania Business One-Stop Shop is the go-to resource for planning, registering, operating, and growing a business in Pennsylvania. Serving as the first point of contact for Pennsylvania business development concerns, the Pennsylvania Business One-Stop Shop connects and guides businesses through all stages of development — from planning and startup to operating and expanding. Whether seeking information about registering a business, Act 32 and Local Earned Income Tax withholding, Unemployment Compensation (UC) tax, diverse business resources, and more, the Pennsylvania Business One-Stop Shop can help provide answers to business-related questions. With an easy-to-navigate website and backed by a team of business consultants and subject matter experts, entrepreneurs and small businesses have access to the resources, tools, and experience to help them dream big, plan for the future, and achieve their goals. To learn more about the Pennsylvania Business One-Stop Shop, visit business.pa.gov. The Erie County Department of Planning is conducting a survey to find out what residents would like our parks, trail, and other recreational areas to look. 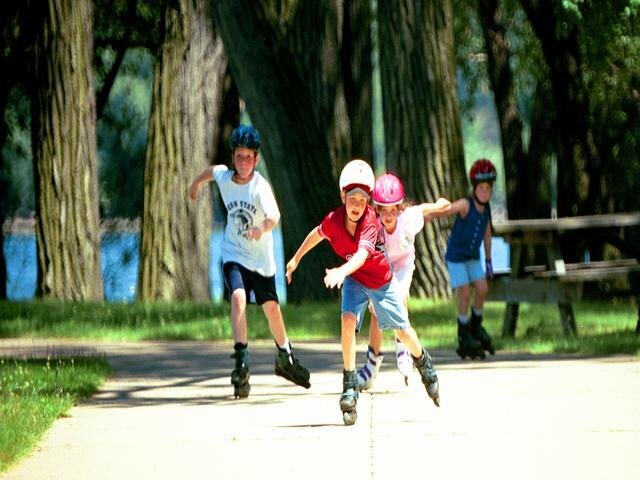 The public survey has been created to get input to shape the future of Erie County’s Parks, Trails, and Recreational Assets through the next 10 years, and beyond. The plan will provide well-vetted and workable action plans, a well-constructed and realistic investment strategy for existing programmed funding and potential funding for Erie County that will enhance recreational assets and their connections to Erie County communities. The Plan will also focus on what Erie County’s role is or should be in relation to parks, trails, open space, and recreational amenities and how to best fulfill this role. The recommendations that result from the planning process will be informed by a robust but effective public engagement process, input from a comprehensive steering committee composed of strategic partner organizations, critical stakeholder groups, and the research and expertise of Alta Planning + Design. To learn more and to participate in the survey, go to the Erie County Department of Planning website. Leave it or Lose it? As we look at the benefits of membership we offer to our investors, some work, some don't. Some might need an overhaul. When we rolled out the ERIE Perk Pass discount program last fall, it was well received by our members, offering discounts to our investors and their employees. Cards were printed and mailed to our membership for distribution within their company or organization. Our larger investors were instructed to have their teams show their name badges to cash in on the discounts. Can we make it better? Absolutely. 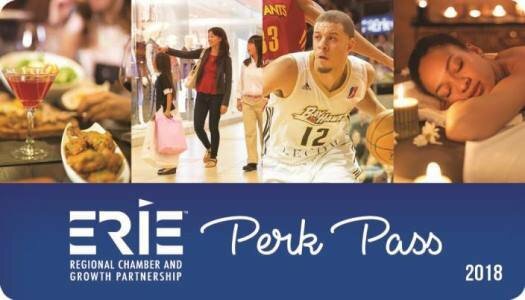 Share your thoughts on the ERIE Perk Pass and how we might make this free member benefit more, well, beneficial to our membership via email to nschmitz@eriepa.com. In partnership with Lilly Broadcasting, the ERCGP sponsors Giving You the Business segments which air weekly on WSEE35 and WICU12 during the 5:30PM. Monday broadcast and Tuesday mornings in the 6-7AM. hour. Your Erie Regional Chamber & Growth Partnership is all about business! 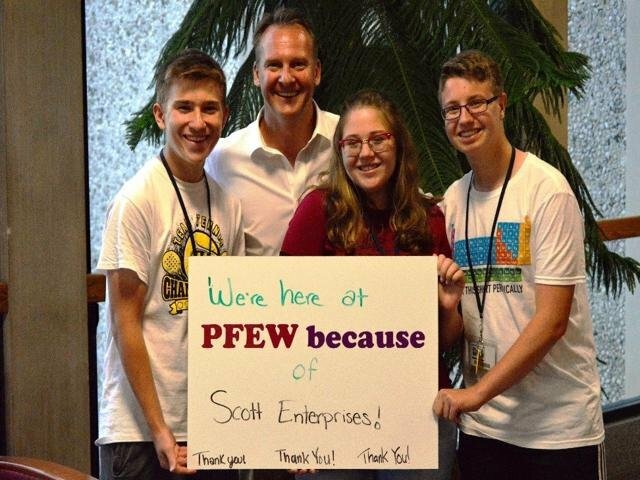 We love supporting not only local business but anything that educates our youth about business and future employment opportunities right here in Erie County. That’s why for years we’ve supported Pennsylvania Free Enterprise Week (PFEW). This award-winning program teaches students to understand and celebrate our American private enterprise system and provides a unique, hands-on learning experience that helps students develop the vital skills businesses need to succeed. This summer, 167 students from Corry, Erie, Fairview, Girard, Harbor Creek, McDowell, North East, Northwest PA Collegiate Academy, Seneca, Union City and Villa Maria Academy high schools joined over 2,000 students from across the state to participate in the 40th annual PFEW summer program recently concluded in Williamsport. The program is taught entirely by volunteer practitioners from the PA business community, and each year, over 200 volunteers are needed to put on this world-class program. Students attend via a $625 scholarship donated by a local business, foundation, civic organization or individual. This year, 82 Erie County organizations provided scholarship support for their local students to attend. To get involved as a donor or volunteer, or to discover more about PFEW, visit their website at www.pfew.org, or call Scott Lee at 814-833-9576.